People looking after older or disabled loved ones are missing out on vital practical and financial support with disastrous consequences for their own health and finances, according to new findings released today on Carers Rights Day by Carers UK. People often don’t see themselves as carers and aren’t identified and as a result miss out on support. Half of carers (52%) surveyed said missing out on support as a result of not identifying as a carer impacted negatively on their finances and a similar number (50%) said it had an impact on their physical health. Two in five carers (42%) said missing out on support as a result of not identifying as a carer caused them to give up work to care. 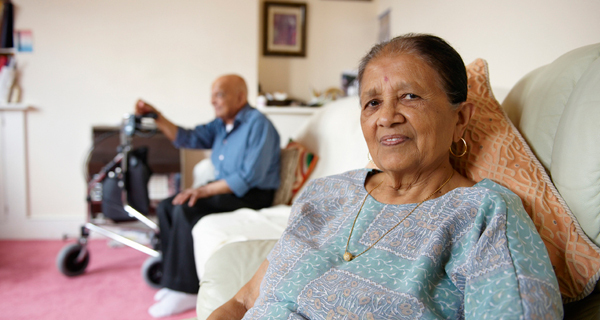 The charity is using Carers Rights Day to reach as many of the 6.5 million carers in the UK as possible with information about their rights and the financial and practical help they are entitled to; including benefits, such as Carer’s Allowance, respite and access to equipment and technology which can help them in their caring role. On a positive note, the research suggested there has been an increase, of 10%, in the number of people who recognised their caring role within the first year of caring. Nearly half (46%) of those who responded to this question compared to 36% of people in 2006; showing the difference that public awareness campaigns and support provided by Carers UK and others has made. If you are a carer struggling to make ends meet, use our Benefits Calculator to check your entitlement to benefits and our Grants Search to see if you are eligible for help from a charitable fund, based on your personal background, circumstances and needs. The Turn2us Your Situation online section contains resources on benefits, grants and managing money, including useful links sheets and a Find an Adviser tool to help you find national and local sources of further help. This includes sections for Carers, People who are Ill, Injured or Disabled and a Help with housing costs section. We have also produced a series of articles on benefits and grants for carers for another charity, Carers Trust.